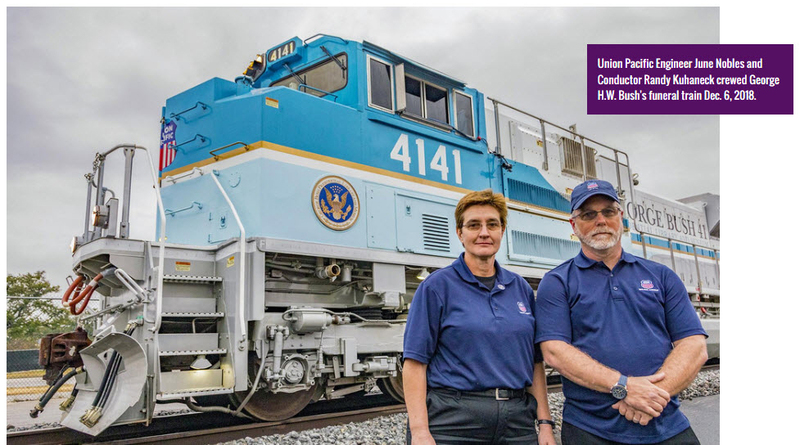 Union Pacific Engineer June Nobles and Conductor Randy Kuhaneck crewed George H.W. Bush's funeral train Dec. 6, 2018. Read the full story here on Union Pacific's "Inside Track".